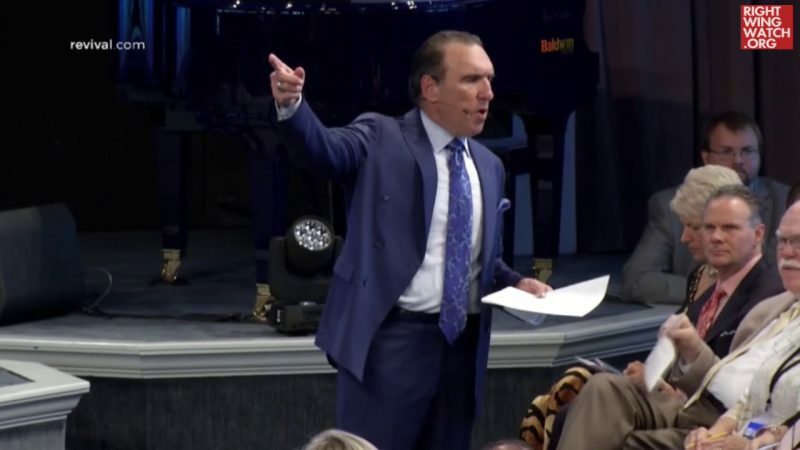 As we have noted before, right-wing pastor Rodney Howard-Browne, who laid hands upon and prayed over President Trump in the Oval Office earlier this year, is a radical conspiracy theorist and that characteristic was on full display during a sermon that he delivered on Wednesday night to his congregation in Tampa, Florida. 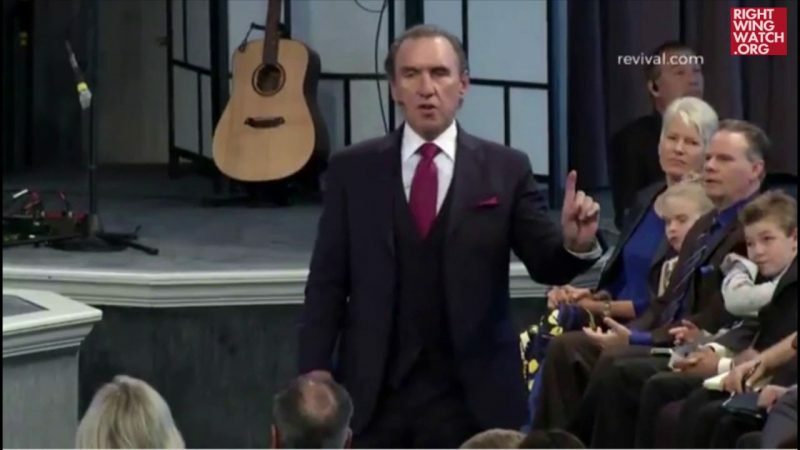 In the sermon, Howard-Browne spent over an hour railing against everything from the banking system and chemtrails to the Bohemian Grove and Nazi control of the U.S. government. At one point, he warned that “the globalists” might use President Trump’s upcoming trip to South Korea as an opportunity to launch a false flag attack against the president in order to justify launching a war against North Korea, while asserting that ISIS is trained and controlled by the CIA. 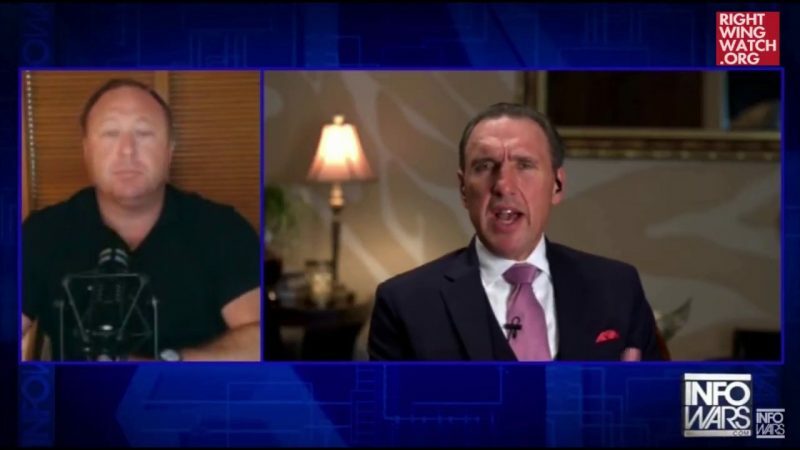 Later in the sermon, Howard-Browne claimed that vaccines are really just an eugenicist effort to impose population control on the world by sterilizing people and giving them diseases, vowing that he’ll “go Old Testament” if anyone ever tries to forcibly vaccinate him.